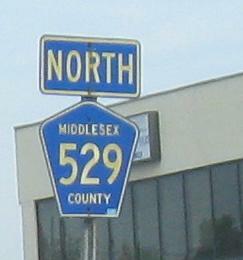 Just north of its humble beginning at CR 514, CR 529 has a historical truck sign, since graffitied on and now torn down along with the rest of the store. 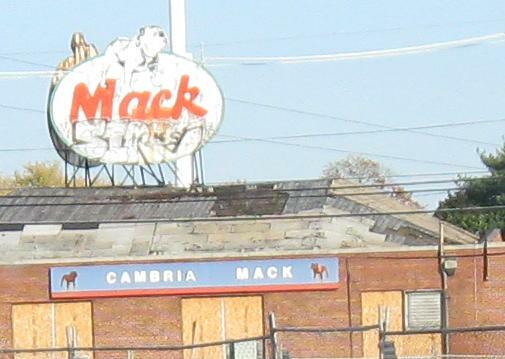 Likely, therefore, this is no longer an actual Mack truck factory. 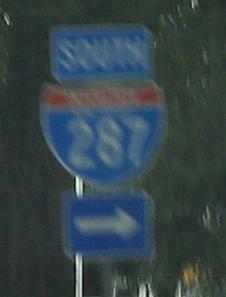 It's visible from US 1. Two reassurances in the half a block heading north from US 1, then turning into the shopping center, something very un-reassuring. 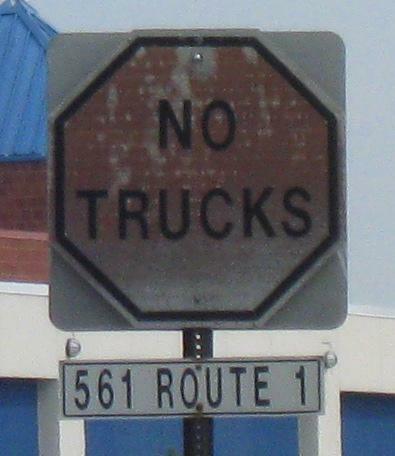 Octagons are only supposed to be used for STOP signs so that their message isn't diluted. Here's the correct (but faded) color with entirely the wrong message - and black on red is a no-no. 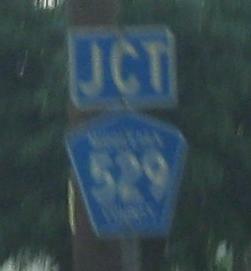 Centennial Ave. EB in Piscataway. 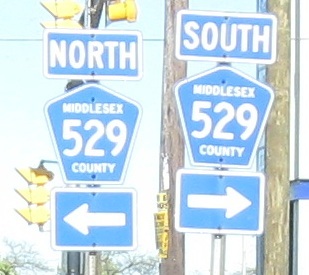 CR 665 NB (S. Washington Ave.). 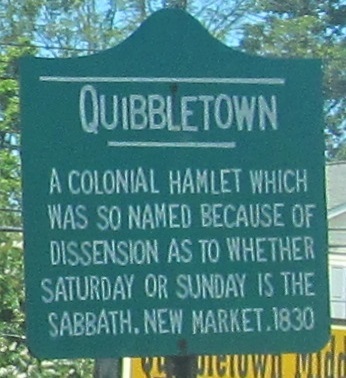 Quibbletown, NJ: "A colonial hamlet which was so named because of dissension as to whether Saturday or Sunday is the Sabbath." I guess they didn't know which day to close the Market. I wonder if blood was shed over the question of which day to keep holy, and whether it was shed on one of those days. 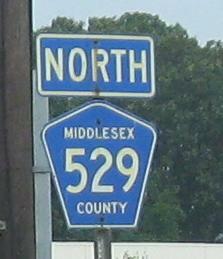 For some further historical information, up until 1830, Quibbletown was known as New Market, and though it doesn't say it on this CR 529 NB sign, New Market has a Revolutionary War history. 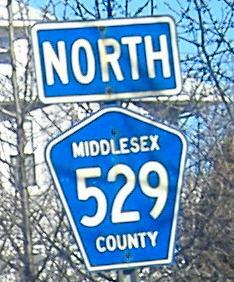 Now, it's just known as part of Piscataway. 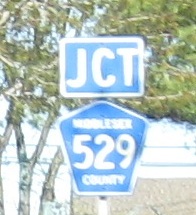 Tiny adjunct to the milepost, NB heading up the Watchung Mountains. A lie. County maintenance supposedly ends here, although the SLD's don't agree with that assertion (they're often wrong, admittedly). 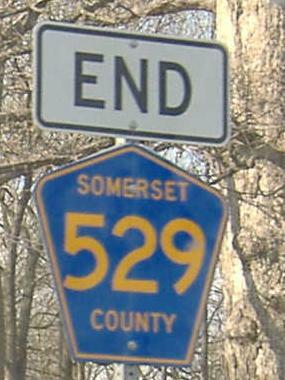 CR 529, at least as a legislated entity, continues through Washington Rock State Park and out the other side to CR 527.